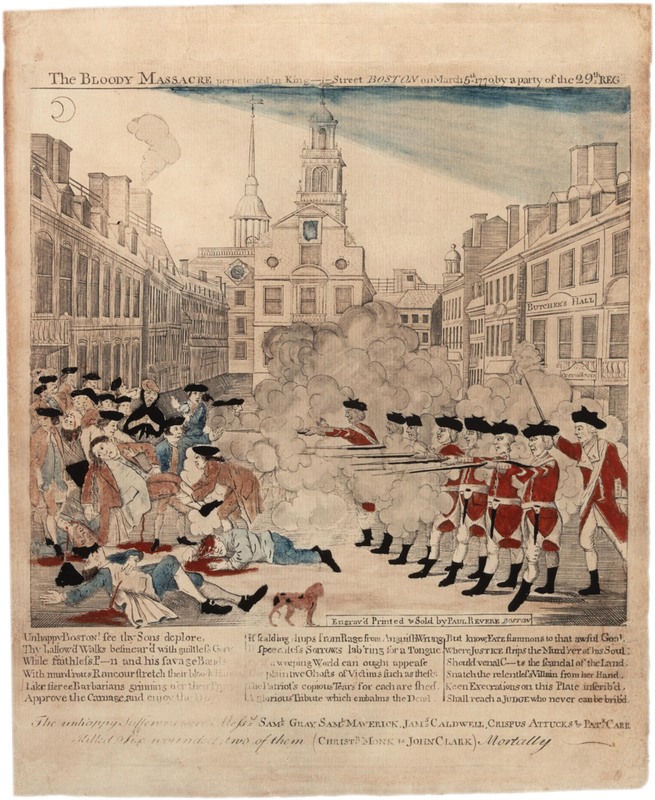 On March 5, 1770, tensions between Boston colonists and occupying British soldiers boiled over and a riot broke out, resulting in the shooting deaths of several patriots. Among them; Samuel Gray, Samuel Maverick, James Caldwell, and a former slave turned sailor named Crispus Attucks. The event spawned a trial, in which the British soldiers were represented by future President John Adams and eventually acquitted and released. 'The Bloody Massacre in King-Street' as it was then known, was one of the main precursors to the Revolutionary War. Our shirt features the coffins of the four patriots killed on-site, with custom tag at bottom and 'Liberty or Death' on back. This one went right to the top of the stack... a stack of many 1776 United gear, that is! This shirt makes the spirit of independence and the sacrifice required eminate from my very being. Great fit and finish. Print is solid as well. It’s been awesome. and I’ve gotten many compliments when wearing 1776 apparel.